Your pool has to endure all types of seasons and weather, and its cover should, too. During summer, a pool cover helps keep out debris and leaves, as well as evaporation. When winter hits, you can relax indoors knowing that your pool cover will protect your backyard beauty when it’s not in use. There are plenty of cheap pool cover options available to fit your needs. Here we’ll show you some of our customers’ favorite options and why choosing them can bring you an overall cost-savings. Investing in a cheap swimming pool cover doesn’t mean you have to sacrifice a safe one. Safety pool covers can support weight and are great for homes that have pets or children. 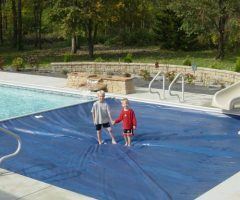 These year-round covers, also called mesh pool covers, are made of strong and durable mesh material to keep out debris. They attach to the pool deck, using tension to support weight while preventing fall-ins or unsupervised swimming. Mesh pool covers from All-Safe come with a 12-year limited warranty, one of the best in the business. While they may be cost comparable to other cover types in initial expense, they have a far lower cost in the long run considering it’s average lifespan. One of the most basic types of cheap pool covers are leaf covers. These covers are relatively inexpensive and perfect for keeping out leaves and debris. Leaf nets are often used along with pool nets to act as a safety cover system. The perfect cover can save you time, money, and stress. With All-Safe’s cheap pool covers, you can choose a cheap swimming pool cover that fits your needs and doesn’t sacrifice the high-quality reliability your family deserves. 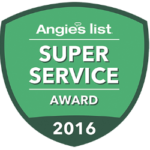 Call your local All-Safe dealer today so we can help you find the perfect pool cover at the best price.